Blink Design™ has been working alongside Harty Search & Selection since 2003, and, as with all successful businesses, they have developed and grown over time. Founded in 1985, John Harty & Associates delivered HR consultancy services including senior recruitment, employee relations and training. 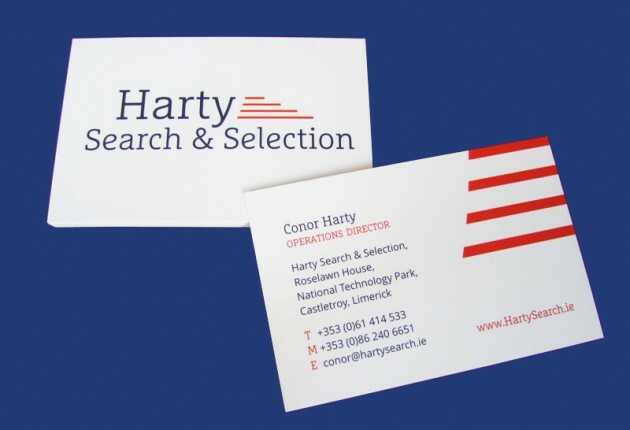 Evolving from John Harty & Associates to JHA Executive Search and later Harty International (www.hartyinternational.com), the Limerick-based leg of the business was officially rebranded to Harty Search & Selection (www.hartysearch.ie) in 2014. 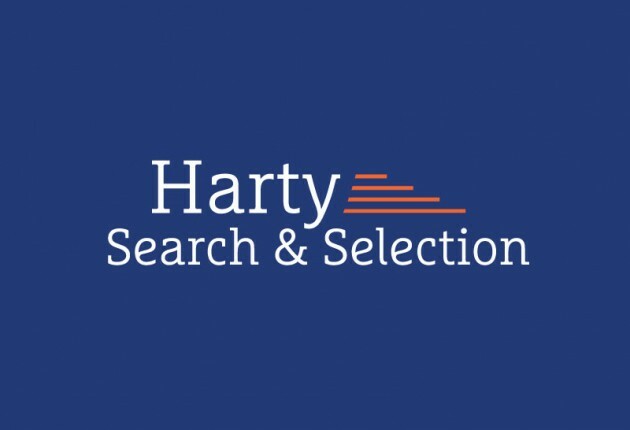 Maintaining an authority on search and selection in Ireland, we have been delighted to help out with all manner of Harty Search & Selection projects from rebranding, website design and brochures to advertising campaigns in local and national newspapers. We have really enjoyed working with the team and we understand their business and their needs. 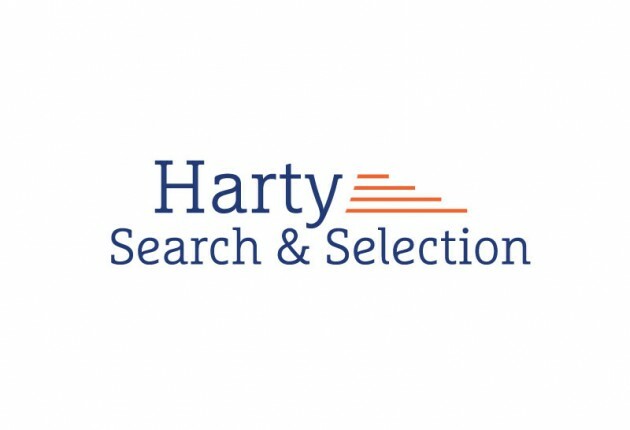 For the new Harty Search & Selection brand, we felt we needed to get back to the roots of the business and the message they wanted to relay to their regular and potential clients. The new brand values and personality traits for Harty Search & Selection reflect the fact that the business is established and in operation an impressive 30 years this year. As consultants in the tricky search and selection process, their approach is robust and detailed and they have excellent research capabilities to identity potential candidates for their clients. We got working on concepts for the new corporate identity, taking into consideration where the business has come from and where it is going. Starting with the colour scheme, we felt it was very important to keep the dark blue corporate colour that has been a solid part of their corporate colours over the years. This strong colour signifies the brand’s authoritative industry stance and their three solid decades in business. We wanted to also include a warm colour to reflect the personal service that the team consistently provides to their clients, and we agreed that the red perfectly fitted the brief. These contrasting colours would be easy to apply across all material, including the new website. In terms of the concept itself, we always start to experiment with sketches and ideas on paper and so we can work up to our message. Our main focus with regards to the icon on the logo was to communicate the robustness and thoroughness of the Harty Search & Selection process, and we decided to go for an abstract concept to reflect this. Within the concept, the 4 lines are all working towards a point. These neatly sit aligned to the edge of the brand as far as the dot over the “i”. As always, we researched fonts and font styles. We agreed on this font style which we think communicates a consultancy-orientated, corporate edge but an established feel too. Working with the concept and the font, we arranged the layout to work together as one. Once the identity (which works on both white and reverse on the dark blue) was signed off, we went on to design the new website. We established the five key client sectors and we also designed the icons and the Harty Search & Selection process infographic. We are very happy with the new brand and new website and look forward to working with Conor Harty and his team in the future. Here’s what Conor at Harty Search & Selection has been saying about the rebrand www.hartysearch.ie/2014/09/celebrating-30-years-in-business. Log onto www.hartysearch.ie to view their new website and brand identity.